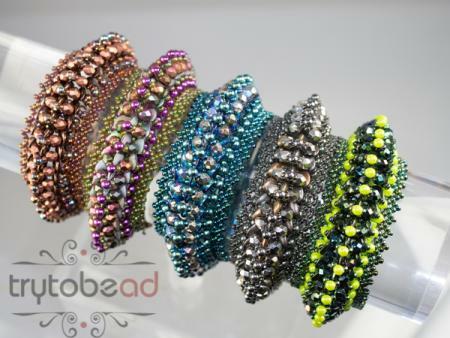 This bracelet is soft and flexible and matches every wrist. 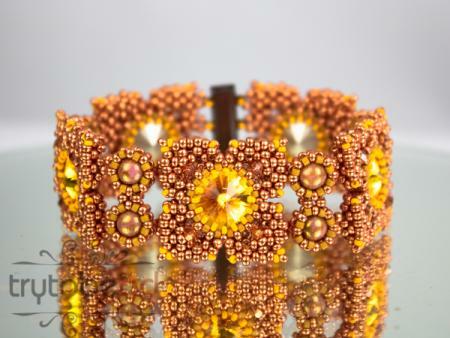 This bracelet was inspired by floral ornaments of asian architecture. It is not very time consuming and easy to make and its wide but flat shape makes this suitable for daily use. 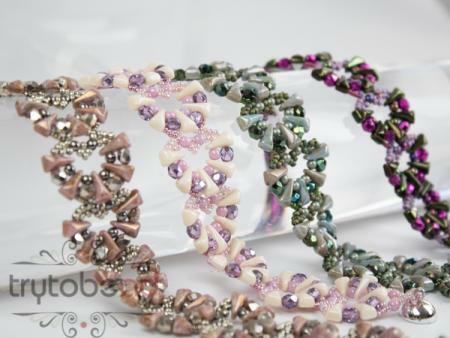 This delicate bracelet with the fan shapet units is easy and fast to make. The pattern includes 10 pages with many drawings and pictures. 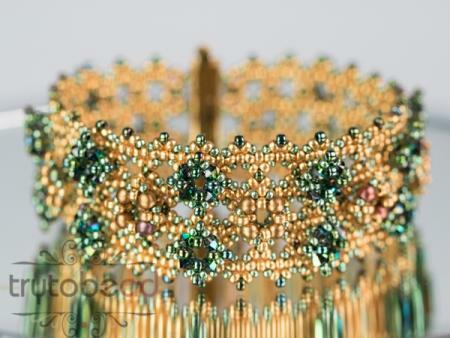 This bracelet has some wave shape due to the different sizes of the focals. 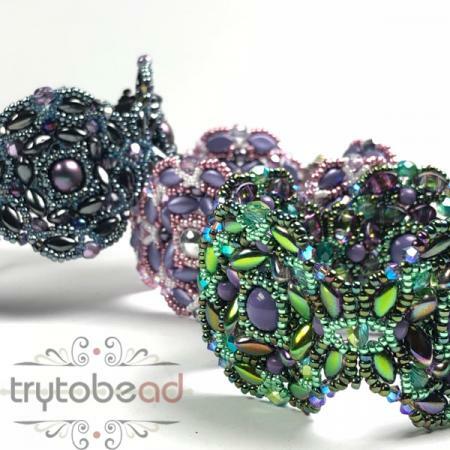 The use of Cotton pearls and Resin rivolis makes it way lighter than it might seem due to its opulence. 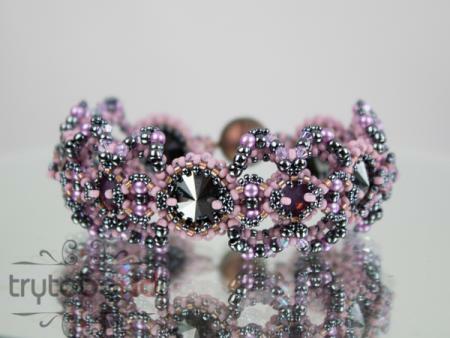 This bracelet was inspired by granny squares in technique and design. The pattern includes 15 pages with many drawings and illustrations. 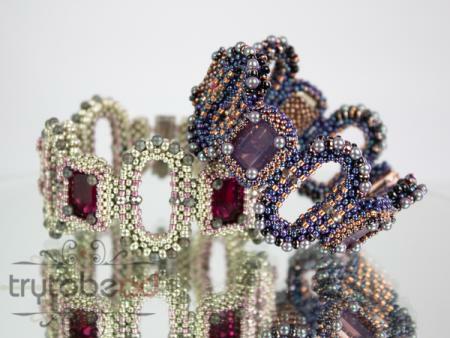 A light sparkling version of a bracelet. It combines chatons and rivolis with gentle arcs on the outline. 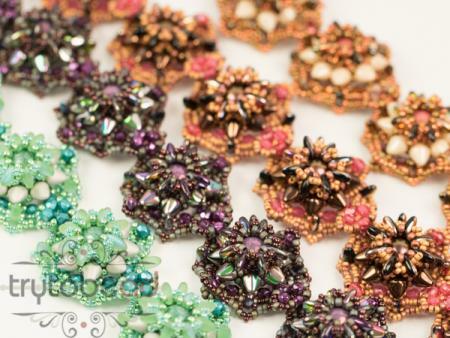 The pattern includes 16 pages with detailed drawings and pictures. 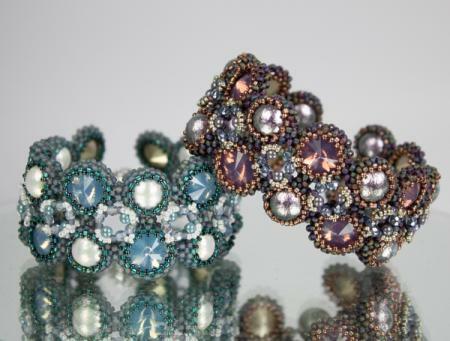 A delicate sparkling bracelet in a lace style. The pattern includes 14 pages with detailed drawings and illustrations. 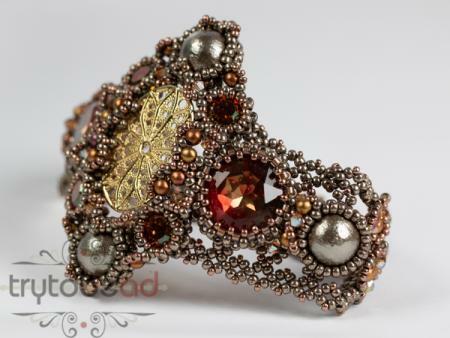 A nicely wearable bracelet containing of bezeled rivolis, surrounded by a delicate frame. The pattern includes 14 pages with many drawings and pictures. Knowledge in RAW and Cubic RAW required.